Peer-reviewed publication provides additional insights into Emmaus Life Sciences Inc.’s FDA approved Sickle Cell Disease treatment. myTomorrows announces that phase 3 clinical data of Pharmaceutical Grade L-glutamine (L-glutamine) for the treatment of Sickle Cell Disease has been published by the prestigious New England Journal of Medicine. The treatment, developed by Emmaus Life Sciences Inc., has met both primary and secondary endpoints in the most recent phase 3 study. L-glutamine received FDA approval on 7 July 2017 for the treatment of Sickle Cell Disease in adult and paediatric patients 5 years of age and older. In Europe, the Marketing Authorization Application for L-glutamine is currently under assessment by the EMA for the treatment of Sickle Cell Disease. During this process, the treatment is available through a named-patient Early Access Program, managed by myTomorrows. At myTomorrows, we believe that everyone should be able to access all suitable treatment options, whenever available, wherever they exist. Working together with medicine manufacturers to devise and execute strategies for early access, we strive to make it easier for doctors and their patients who ran out of viable treatment options to find, get information about and access to medicines in development. 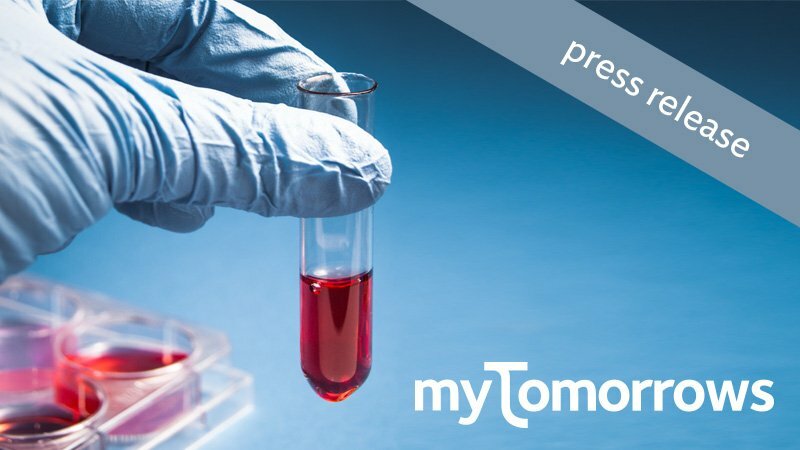 myTomorrows has developed a Knowledge Base to combine vast amounts of medical and clinical data to present an actionable overview of the full clinical development pipeline.